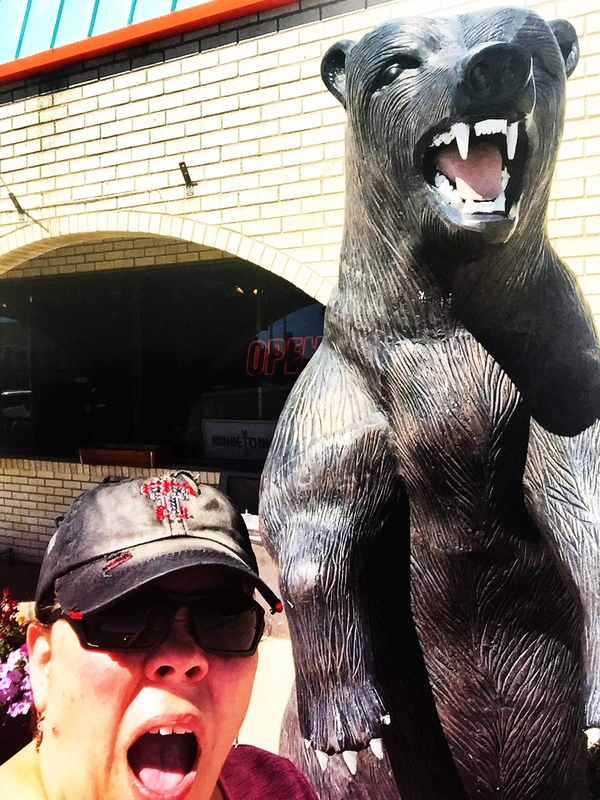 I was driving through the northeast corner of New Mexico when I was forced to stop and take a selfie. Raton is not my favorite city and I was actually planning on driving right on by, however I really needed something to drink and to have a little pit stop. I pulled off into the first parking lot I saw, and you cannot possibly imagine my delight when I met this fella. 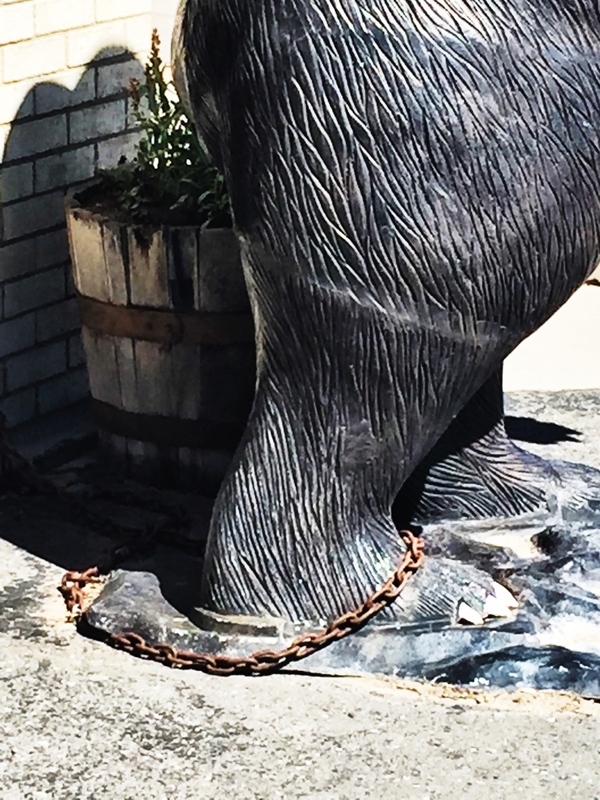 Don’t worry, he was chained down. Seriously? Are they afraid he will get away? I somehow figured out his name MUST be Bert the Bear, and I am convinced I should have spent a little more time investigating this situation. 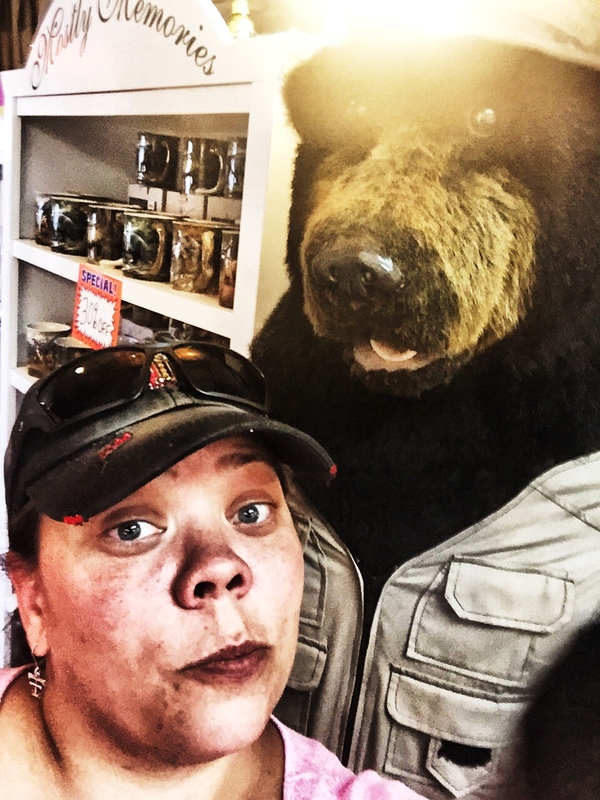 Why is this bear being held captive in front of this tourist trap? Who is a tourist in Raton? Shhh. I was NOT a tourist! 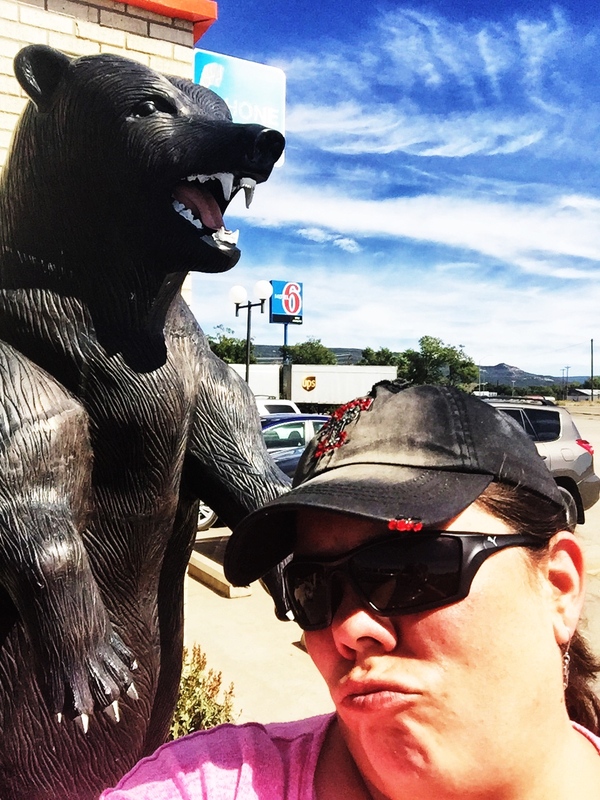 Just because I stopped to take a selfie in front of a highway restaurant does NOT make me a tourist. Wait until you see the bathroom pics in the next installment of Signs. Yep, I am still that girl. Sorry, not sorry. I suppose you could say I have a weird fascination with inanimate animals. I want them to be having conversations when my back is turned. I guess sometimes the fantasy of childhood stories is still attractive to me. What if these frozen creatures are just waiting to become real? Margery Williams said it best in The Velveteen Rabbit. Oh, talk about a trip down memory lane. 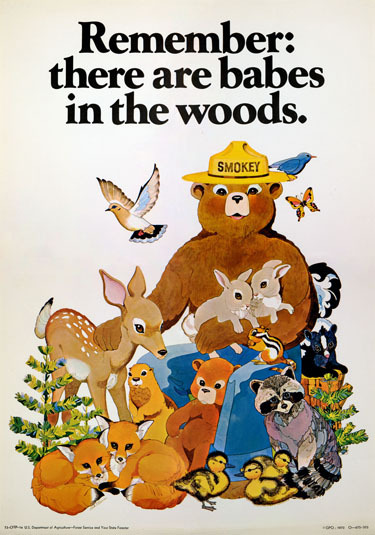 Google Smokey the Bear, I dare you. It is awesome. Perhaps Bert the Bear just needs to be loved, then he can become real. He would most likely have to go live in the woods at that point. He would want to start dating other real bears, and most likely would like to start a family. Maybe he could even get a job with Smokey the Bear fighting wildfires. Is Smokey even still around? I imagine I would be sad like I was watching E.T. as a child. I still cry like a baby every single time! The Velveteen Rabbit makes me cry too. I even cried when Steve went to college on Blue’s Clues. I think it may have something to do with loss. Moving on. Starting a new chapter. This year has been full of transition for me. I changed jobs, started traveling, and made a lot of new friends. The hard part is not seeing my old friends with the regularity I am accustomed to. I miss them. I find myself wondering what they are doing now. I miss the inside jokes and laughter. Whiskey Tango Foxtrot? I wonder if I am ever going to have these kind of relationships again. The most challenging aspect of leaving the comforts of the familiar is the fear of forming new attachments. Part of me does not want to risk feeling the way I did when I was trying to plan for my future. I felt like I was unfaithful to my work family. I had dedicated so much energy to getting the job, learning the job, keeping the job, and finally in the end, leaving the job. What is the protocol for changing everything about the way you live your life? How should you approach the transition from completely career oriented to fighting the tendency with everything you have? I think I understand why divorced people often get married so quickly. It is an undeniable force with a gravitational pull to the very thing you have been trying to avoid. I wanted to stop having my work as a nurse practitioner as my primary focus in life. This does not make the work unimportant, it is simply an attempt to have more balance. My problem is my constant need to be working on a project coupled with a painfully short attention span. Oh! Back to the story about Bert the Bear. Bert the Bear was still there! Not entirely sure how I feel about this. He has obviously not been loved enough- YET! On my way home I obviously had to stop and see Bert. I was curious if he had met someone special, and secretly hoped he would figure out how to unchain himself from his bonds. Alas, he was still in the exact same position when I rolled to a stop in the parking space directly in front of him. Now, meet Barry the Fishing Bear. He is soft, cuddly and could probably keep you a little warmer at night than Bert could. Barry was just sitting inside the restaurant, chillin’, and dare I say waiting? When I saw him our eyes met and it was magic. It was Kismet. Destiny demanded a selfie with this handsome dude. I offered to take him back to Texas with me, but he wanted to go back to Colorado for the winter. I think he skis Vail or something like that. I totally crack myself up on my road trips. I listen to podcasts and have private concerts. Car dancing is usually a guarantee. 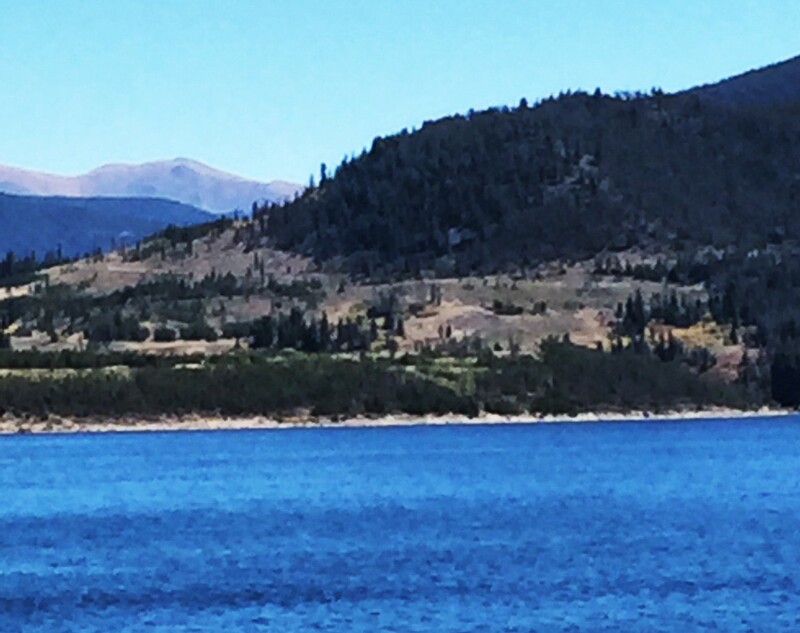 I am experiencing more of the world and learning to do something other than work. I think it has been good for me. The best part? Well, despite the fact I am no longer employed full-time with my old job, we all have phones, Facebook, and I still work there sometimes when I am in town. I have not lost anything. I am simply gaining new experiences and skills. If I find myself too lonely Work Mommy and Work Daddy are just a phone call away. Actually, so is my real Mommy. This is an adventure. I am lucky to have this chance. *Smokey the Bear artwork borrowed from this site. Previous Rocky Mountain High. Well, not quite.